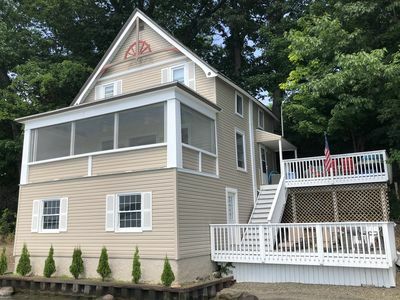 Lake living at its finest, in a newly renovated cottage and we just added a '40 permanent dock with cleats on both sides to tie off. 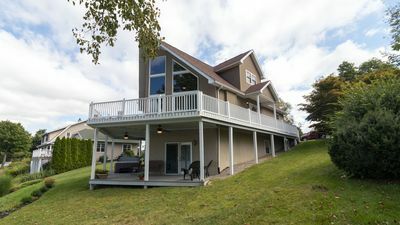 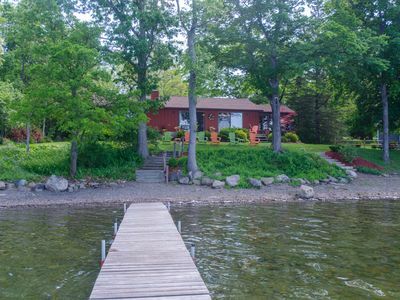 A main house on the edge of 100' of waterfront, with two bedrooms, a full bath and laundry. 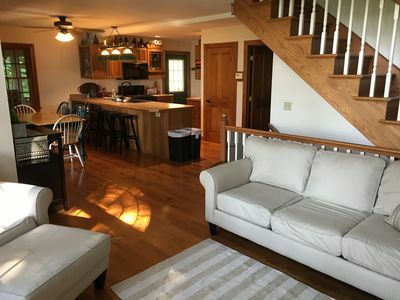 One bedroom is a king size bed and the other is queen size bed. 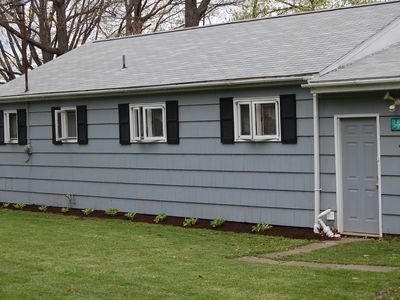 Across the street is a small bungalow, with two bedrooms, main living space and full bath. 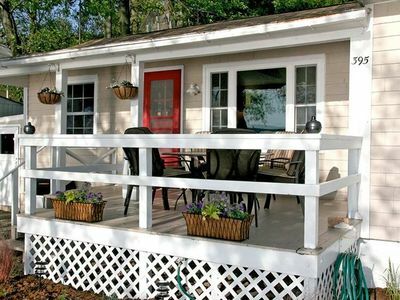 The bungalow has one bedroom with bunk beds, one bedroom with queen size bed and the main living space has a full size bed and a pull out couch. 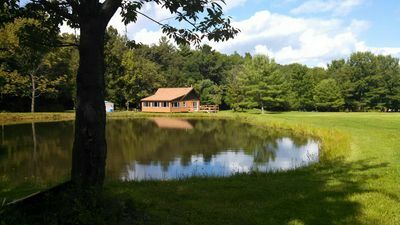 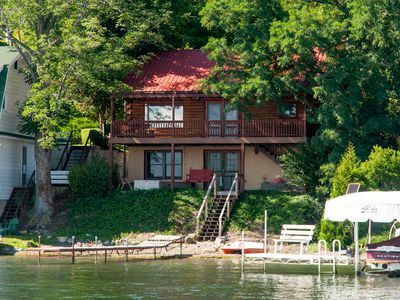 The property also has a fire pit, a boat house with a plethora of tubes for lake floating and there are games galore for those rainy days. 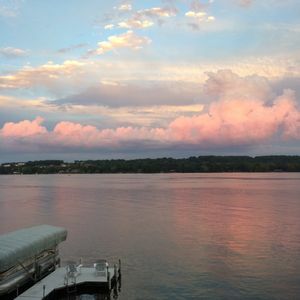 The views from the deck never disappoint, including the famous Keuka Lake sunsets. 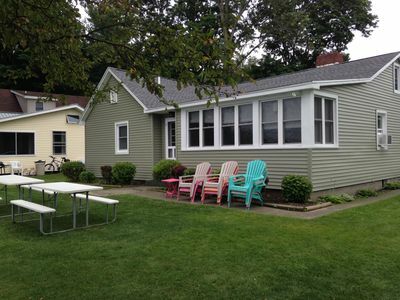 It's a Shore Thing your family will have memories to last a lifetime. 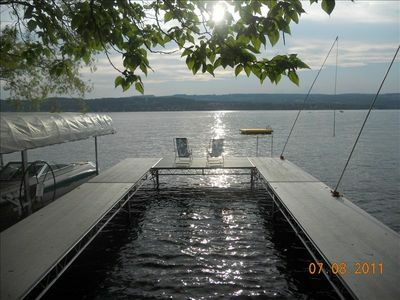 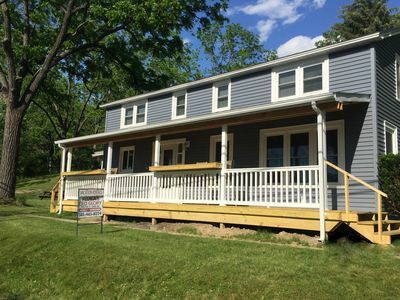 Modern waterfront cottage on Keuka Lake - close to Penn Yan & Finger Lakes wine! 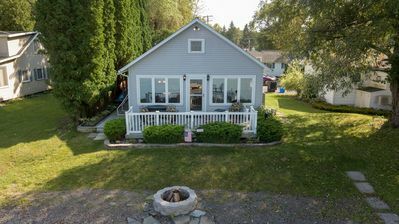 Nestled In The Woods Overlooking The Pearl Of The Finger Lakes! 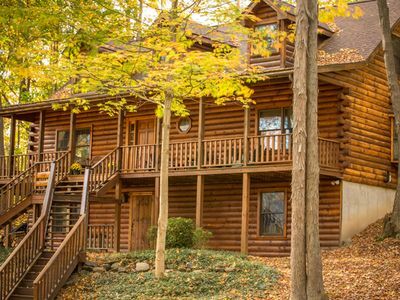 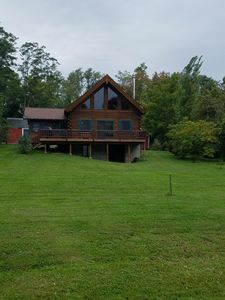 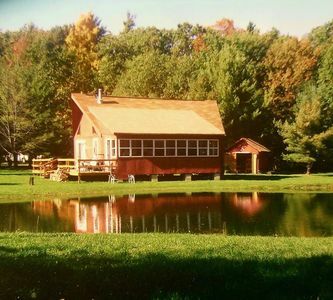 Grey's Getaway Cabin, Finger Lake region Fall foliage getaway, wineries near by! 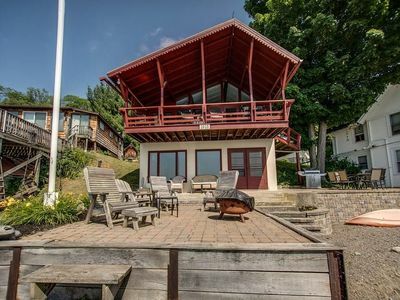 Private, Level, Beachfront Cottage; No Stairs To Beach! 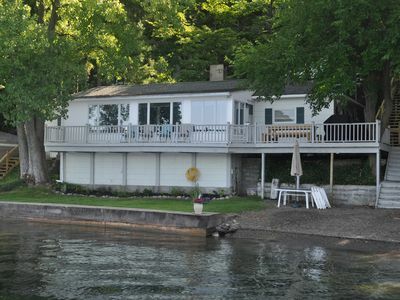 Pelican Cabin - Lakeside cabin complete with AC and paddle boat. 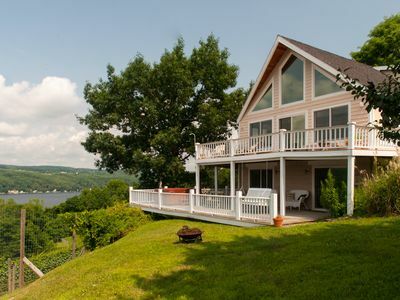 Sunset Point:"Upscale Keuka Lakehouse, Walk To Keuka Springs Winery!" 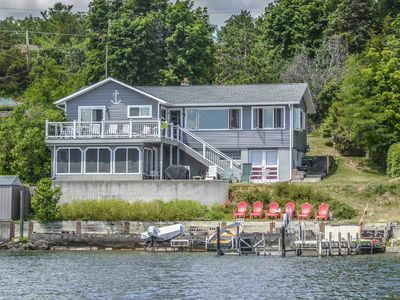 Well Secluded Waterfront Cottage on Desirable Eastside. 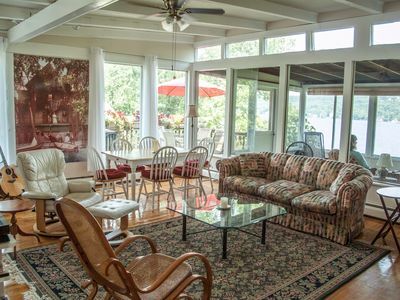 North View: "Charming Lakefront home with picturesque views of Keuka Lake!"